Paradise of Samoa Dance Troupe is the vision of Tasi Tuaopepe Keener, a Samoan dancer born and raised in the Independent State of Samoa. Ms. 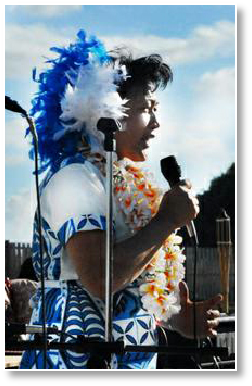 Keener moved to Oregon in 1999 and became active with the small Samoan community in and around Salem, Oregon. She saw that most of the Samoan Community, especially the young people, were having difficulty in learning and maintaining aspects of the unique culture of Samoa, particularly in the area of the arts and language. 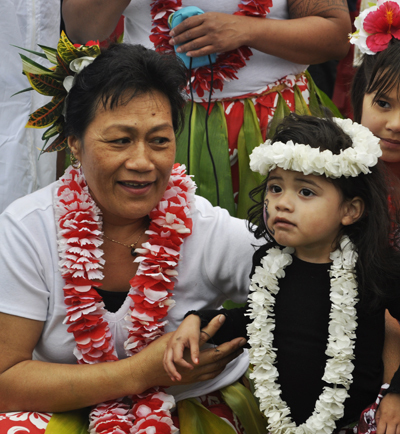 Many of the kids had never been to Samoa, and were unfamiliar with the culture and dance from their native islands. With her training in the Samoan arts and dance, Tasi began working with the Samoan Club of the Willamette Valley as the choreographer of Samoan dance and entertainment, and developed several community events and activities in order to illustrate the Samoan Culture. As a result of this, participants quickly began growing in number, and Tasi developed a large number of new routines, dances, and original music and she organized a studio in her home. Tasi's family has been an instrumental part of the shows and four daughters and one son have performed and train with her. Over the years, many non-Pacific Islanders have participated and performed, as participation is open to all young people with willingness and commitment to learn. All costuming is original and handmade. "Paradise of Samoa Polynesian Dance Troupe" is comprised of trained dancers and entertainers, and hosts at least one luau every year. The shows include live music and fire dancing. The troupe is available for community events, corporate luaus, churches, benefits, schools, and weddings. The full show consists of a tour of the Pacific Islands, including Samoan, Tongan, Fijian, Tahitian, Maori and Hawaiian Dance... with traditional costumes and narration. Those interested in Polynesian Dance, including siva (Simoan) and hula (Hawaiian), please feel free to contact us directly. 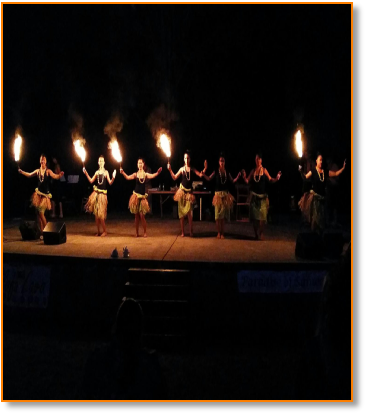 Because Paradise of Samoa Polynesian Dance Troupe is a cultural group and a non-profit entity, rates are negotiable, based upon the type of show and the traveling distances involved. A minimum donation for a show is US$350 for non-profits and $500 for other organizations or groups. Our rates may depend on miles of travel from Salem, OR. Paradise of Samoa is a non-profit entity and is exempt under Section 501(c) 3 of the IRS Code. Contributions made to Paradise of Samoa are tax deductible, and we are pleased to provide a tax receipt for your donation(s). Our business affiliates, Matareva Enterprises, offer live island style music. They will be most happy to provide a quote depending on your function and needs. Please call or email us for any questions or for more detailed information.